President Black called the January 28, 2019 Regular Meeting of the Board of Commissioners to order at 7:00 pm followed by a prayer and the Pledge of Allegiance. He announced that Proof of Publication was available for review. Vice President Simpson was absent from the meeting. President Black stated that he, along with most of the Commissioners, had just come from a training session called Stop the Bleed. 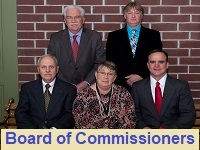 Commissioner VILLONE moved to approve the minutes from the January 28, 2019 Regular meeting of the Board of Commissioners. Commissioner HOLTZMAN seconded the motion. Motion carried 3-0 with Commissioner Schin abstaining due to absence. Mr. Vernau introduced Ms. Karen Miller who is filling in as Solicitor in Mr. Miner’s absence. Department reports for the month of December for Community Development, Fleet Maintenance, Facility Maintenance, Public Works, and Public Safety. Commissioner Villone asked about the fluctuation in 2017/2018 building inspections under Community Development. Mr. Flint responded that it is difficult to pinpoint a reason for this but when you put all the permit numbers together, trends emerge. He also stated that larger construction projects generally result in larger permit income rather than numerous smaller project permits. Tax Collectors January 2019 Monthly Report. Commissioner SCHIN moved to accept the Consent Agenda and Commissioner HOLTZMAN seconded it. Motion carried 4-0. Commissioner SCHIN moved to approve the Check Register of January 18, 2019 in the amount of $287,082.66. Commissioner VILLONE seconded it. Motion carried 4-0. Commissioner VILLONE moved to adopt Resolution 2019-R-01 of the Lower Allen Township Board of Commissioners, recognizing Lisburn Community Fire Company for 65 year of service to the residents of Lower Allen Township and surrounding communities. Commissioner HOLTZMAN seconded the motion. Motion carried 4-0. This resolution will be presented to LCFC at their upcoming Firemans’ Banquet. Commissioner SCHIN moved to adopt Resolution 2019-R-02 of the Lower Allen Township Board of Commissioners, appointing Justin M. Kettering to the position of Public Safety Officer, Public Safety Department, effective March 4, 2019. Commissioner VILLONE seconded the motion. Motion carried 4-0. President Black asked if there was any member of the audience who wished to bring any business pertinent to the Township but not on the agenda before the Board. He also requested that discussions be limited to 15 minutes per person. Several residents from Royal Drive were in attendance and wished to express their concerns regarding the proposed development of Windsor Park. Ursula Morgan, 5225 Royal Drive, stated that she became aware of changes taking place from a door hanger placed on her door. This was done by the firm Johnson, Mirmiran, & Thompson (JMT) who are surveying the area at the request of Lower Allen Township. The parcel of land was dedicated to the Township by the builder as a park when the neighborhood was constructed. The proposed development would consist of a tot lot playground designed for ages 0 to 7, some tables and chairs, open lawn, and a walking trail around the perimeter of the park with street access. Ms. Morgan expressed concern about safety in this area as police cannot see into the park from the road, people cutting between houses to access the park, an increase in maintenance costs, and the tables causing older kids to hang out in the park at night. Kristi Spangler, 5223 Royal Drive, also voiced concerns regarding crime from the nearby apartments, traffic and safety issues, and people walking through her backyard. Justin Witmer, 5229 Royal Drive, stated that while his family would use the tot lot, he would be concerned that the area would be used more as a cut through than as a playground. He also is concerned that increased foot traffic could result in increased crime in the area. Mr. Vernau replied that the results of a 2012 survey indicated that while only passive use of the area was preferred, some families in Windsor Park said that they would like a place to take their small children to play. People mentioned that they would not walk to Wass Park due to having to cross Wesley Dr. Mr. Vernau mentioned that the results of the survey showed that residents abutting the park didn’t want any development at all. Plans have not been approved yet, just the survey is being done by JMT. The park is already mowed by Lower Allen Township and the expense of developing the park is in the Recreation and Parks budget. The Township has other parks but is still lacking in park space. President Black said that a survey can be created and distributed to the neighborhoods around the proposed park to gather feedback on what residents would like to see done with the space. He will then schedule a meeting after the results are back. This item will be on a future Board of Commissioners meeting agenda. President Black thanked the residents for their input in tonight’s meeting. Mr. Flint spoke about the upcoming building addition to the Lower Allen Public Works building and put a diagram on the overhead projector. Approximately 9,000 square feet will be added to extend the length of the building. The plan is considered a “Minor” plan because it is less than 10,000 square feet. Commissioner SCHIN moved to approve the waiver of the requirement to provide sidewalks along all street frontage for the Minor Land Development Plan for Public Works Facility Building Addition, until such time as the installation of same has been deemed necessary by the Township for the health, safety or welfare of the general public. These improvement shall be made at the owner’s expense. Commissioner VILLONE seconded the motion. Motion carried 4-0. Commissioner SCHIN moved to approve the waiver of the requirement to provide curbs on all street frontage for the Minor Land Development Plan for Public Works Facility Building Addition, until such time as the installation of same has been deemed necessary by the Township for the health, safety or welfare of the general public. These improvement shall be made at the owner’s expense. Commissioner VILLONE seconded the motion. Motion carried 4-0. Commissioner SCHIN moved to approve the waiver of the requirement to provide fill-in paving for the Minor Land Development Plan for Public Works Facility Building Addition, until such time as the installation of same has been deemed necessary by the Township for the health, safety or welfare of the general public. These improvement shall be made at the owner’s expense. Commissioner VILLONE seconded the motion. Motion carried 4-0. 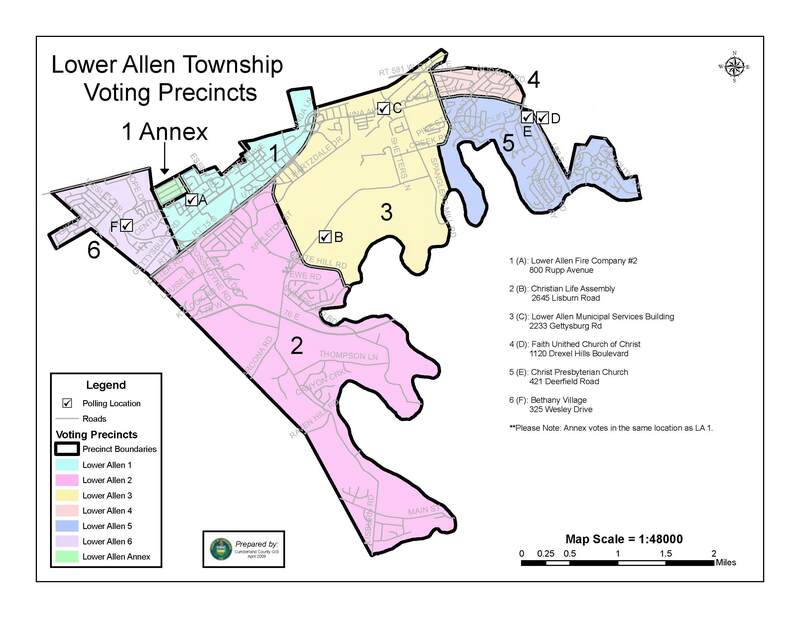 Commissioner VILLONE moved to approve the Minor Land Development Plan for Public Works Facility Building Addition, a 9,065 square foot building addition at 1400 St. Johns Road, contingent upon Lower Allen Township Authority approval. Commissioner HOLTZMAN seconded the motion and the motion carried 3-1, with Commissioner SCHIN opposed. Commissioner SCHIN moved to approve the Minor Land Development Plan for Capital City Mall Retail Outparcel, proposed construction of a 7,000 square foot auto service building on the Mall property, near the intersection of Hartzdale Drive and Capital City Mall Drive, contingent upon Lower Allen Township Authority approval. Commissioner VILLONE seconded the motion. Motion carried 4-0. Commissioner SCHIN moved to approve awarding a contract to Simone Collins in the amount of $20,000 for consulting services for the Pedestrian/Bicycle study. The money is from two grants that the Township received. This consultant was chosen from among four to work with the citizen committee that has been formed. President Black mentioned that Simone Collins is located farthest away. Mr. Flint stated that they have included their travels expenses in the quoted fee and nothing additional will be added for travel. President Black stated that this firm has a lot of experience with this type of consulting work. Commissioner HOLTZMAN seconded the motion. Motion carried 4-0. Mr. Flint asked for permission to advertise the bid documents for construction of the addition to the Public Works Facility. Buchart Horn is the architectural firm that has been working on the design and it is nearly complete. Commissioner SCHIN moved to authorize the preparation and advertisement of bids for construction. Commissioner VILLONE seconded the motion. The motion carried 3-1, with Commissioner SCHIN opposed. Mr. Vernau spoke about the Finance items on behalf of Mr. Grove, who is out of town. Commissioner VILLONE moved to award the contract to Bank Funding, LLC. and Commissioner HOLTZMAN seconded it. Motion carried 3-1, with Commissioner SCHIN opposed. Mr. Vernau presented a list of 28 investment options for employees investing in the Township’s new Defined Contribution retirement plan. Our fiduciary, Huntington Bank, recommended 26 of the 28, and the additional two Vanguard funds are staff recommendations. There is also a self-directed brokerage option where an employee could choose from all the funds that Huntington Bank offers. There will be advisory services available to help employees choose the best option for their financial situation. Commissioner SCHIN moved to approve the list of investment options and Commissioner VILLONE seconded it. Motion carried 4-0. Mr. Vernau spoke about the purchase of a chassis and upfit for a new dump truck budgeted to replace an existing 2003 GMC dump truck. The budgeted amount for this truck is $185,000 but we are only financing $173,000 due to anticipated sale of the old truck of $10,000 to $12,000. Mr. Charlie Reynolds, Fleet Manager, has gathered the information from the COSTARS vendor bids. Low bid for the chassis was from Five Star International and this is the recommended choice. Lancaster Truck Body provided the lower upfit bid but it did not include some of the equipment included in the specifications. MJR Equipment provided a bid that was $8,566 more but this is the recommended choice so that the snow and salt controls will be compatible with all of the other trucks in the fleet. Commissioner VILLONE moved to award the contracts to Five Star International and MJR Equipment and Commissioner SCHIN seconded the motion. Motion carried 4-0. Mr. Vernau spoke about the purchase of a 2019 Ford Escape (4WD SUV) to replace a 2003 Ford Explorer SportTrac for the Community Development Department. This capital item was budgeted for $25,000 in 2019 and Mr. Reynolds has been quoted a purchase price of $23,287.68 from the Ford/COSTARS Fleet Contract with Hoffman Ford. The extra funds can be used to purchase lighting for the vehicle. The lighting and striping will be done in-house. Mr. Reynolds has worked out the details of what the vehicle needs with Community Development. Commissioner VILLONE moved to award the contract to Hoffman Ford through COSTARS and Commissioner SCHIN seconded the motion. Motion carried 4-0. Mr. Vernau provided a list of tax credit applicants who have qualified based on their service hours as fire company volunteers in 2018. They are eligible for either a real estate or earned income tax credit. Applications are still being received until the end of March, so additional names may be submitted. Commissioner SCHIN moved to approve the tax credits and Commissioner VILLONE seconded the motion. Motion carried 4-0. The roster of approved applicants will be sent to the Lower Allen Treasurer and the Cumberland County Tax Bureau. Assistant Township Manager Erin Trone spoke about the Development Authority having closed on the Bon Ton property on January 18, 2019. It is now owned by Lower Allen Township Development Authority. Demolition plans are in the works. On January 16th, the first Bike/Ped Committee meeting took place. Around 20 people attended the meeting which lasted about two hours. There is now a consultant who will be joining the meetings. Director Holl stated that the County Chiefs have been invited to attend the County Commissioners finance committee meeting. Crimewatch is being brought to their attention and Mr. Holl is hoping for a positive outcome. Commissioner Holtzman spoke about complaints she has received about a school bus being parked on Rockaway Dr. Residents are requesting the bus be parked elsewhere. She also has heard about a house by the railway underpass that has junk cars in the yard. Commissioner Schin stated that he attended the first Bike/Ped committee meeting. He is willing to trade his spot with another Commissioner who would have more interest in the subject. Commissioner Villone offered to take the position. Commissioner Villone stated that he is excited about joining the Ped/Bike committee. He also spoke about a family he knows on Carlisle Road by the bend with a stormwater drainage issue. He inquired about how we let PennDOT know there is an issue. Mr. Vernau stated that it’s a low spot and the water can’t go west due to the slope of Carlisle Road and there are no nearby storm drains. Mr. Flint stated that if the water was staying it would freeze there and PennDOT would take care of it. Since the water dissipates fairly quickly, it is only a problem after heavy rains. Township Manager Vernau has been meeting with the directors of various departments to complete the information for the Succession Report. The report should be ready for the next meeting. Captain Crone stated that all Township parks close at dusk unless they have lights and then they close at 11pm. People should not be in the parks after dark, including Windsor Park playground. He hopes that neighbors will call us if they see anything but he does not recall any issues at Windsor Park in the past. President Black asked Mr. Vernau to have the Complaints Coordinator address the complaints that Commissioner Holtzman has received and to create the surveys to send out to residents around Windsor Park. He also spoke about meeting with Lower Allen restaurants (Pizza Grille, Theas, Flinchy’s, Bonefish) to explain the use of the Bon Ton site. He felt the information was well received and the meeting went well. The meeting was recessed to Executive Session at 8:37 pm to discuss appointing a library representative. The Regular Meeting of the Board of Commissioners adjourned at 8:46 pm.